Of all the senses, perhaps smell has the greatest power to evoke and transport, to bring sudden sharp memories flooding back of a person or place once beloved and long forgotten. A thousand years ago in Japan, while on another small island on the other side of the world Beowulf was fighting Grendel, the Wanderer was sitting desolately by the seashore bewailing his fate and monks were putting together the Anglo-Saxon Chronicle, Japanese poets were examining their senses and probing their feelings in a way that would not be unfamiliar today. 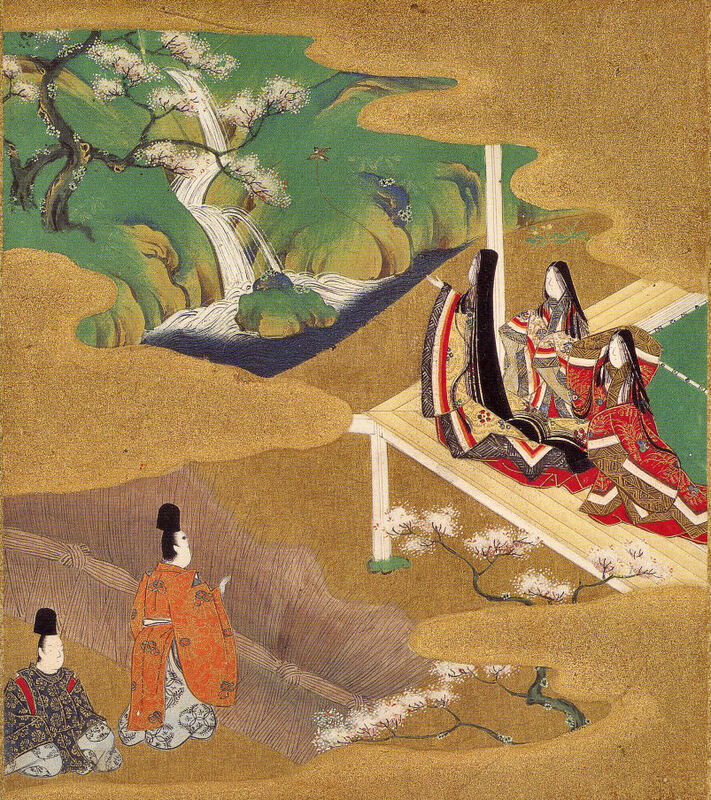 In the Heian period, around the eleventh century, one of the most highly appreciated artistic skills among the noble class was the art of blending perfumes. While we developed oil-based perfumes, Japanese perfected the art of heating the woods which formed the basis of their scents so that they produced no smoke, only fragrance. 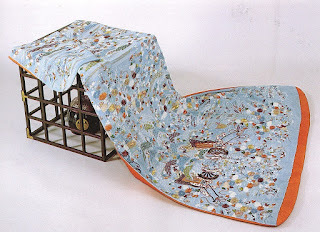 In this society - depicted in the world’s first novel, The Tale of Genji - noblewomen lived hidden away in their palaces, occasionally allowing a brocade sleeve to waft its scent from a carriage window as a hint of their beauty. Noblemen would exchange poems with them, decide on the strength of their poetic skills and the beauty of their calligraphy if they were worthy of pursuit, then creep in to visit them at dead of night. No matter how dark it was the ladies always knew exactly who the visitor was by his distinctive perfume. 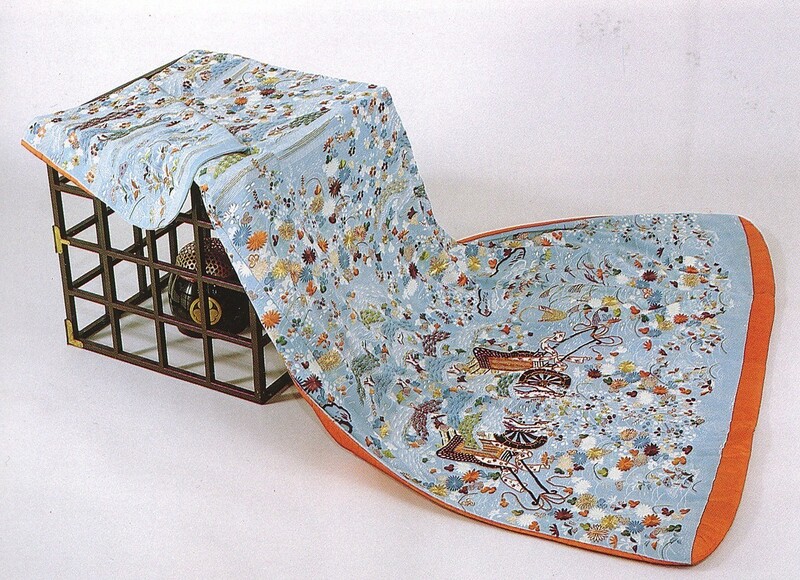 The exquisite world of the Heian nobles was as fragile as the scent of orange blossom. It faded away but the tradition of creating and appreciating scent lived on. Till the mid-nineteenth century women scented their kimonos overnight, laying them on a wooden framework over an incense burner, and draped their glossy long black hair over incense burners to scent it. 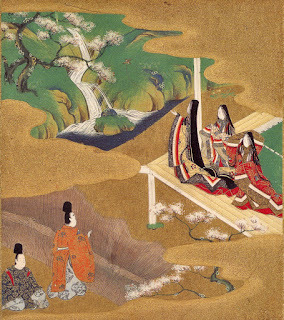 A woodblock print at the Tokyo National Museum shows a courtesan reclining languidly, her kimono suggestively parted at hem and neck, with an incense burner between her feet. 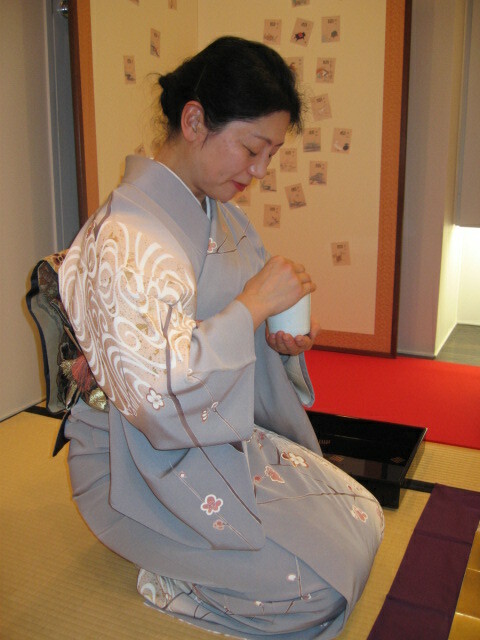 We can imagine the perfume coiling up through her clothes and emerging from the loose folds of her kimono at her breast. Young men about town, geisha and courtesans carried pieces of scented wood in their sleeves and rubbed powdered scent onto their hands and neck. When I lived in Japan I once went to the great city of Kanazawa on the Japan Sea coast. A friend had put me in touch with a celebrated master of the Noh theatre. Japanese tend to be rather formal around each other, especially if they are famous as this gentlemen was. But they relish the chance to relax with foreigners who are not such sticklers for the proper Japanese ways of behaviour. He introduced me to the incense ceremony. 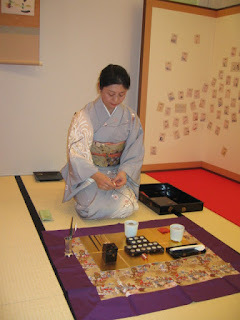 It’s somewhat more recherché than tea ceremony and while tea ceremony ends with a cup of tea, the incense ceremony is more like a game. In fact it’s a bit like wine tasting. There’s a whole connoisseurship of the different incenses, much like wines. To the novice they may seem similar but to the trained nose they’re quite different. Some are musky, some more like sandalwood or pine or plum blossom. The most exquisite and expensive scent of all is kyara. Imported from Vietnam, it’s an ancient wood that takes thousands of years to develop and, so I’m told, costs many times more than the equivalent weight of gold. As with tea ceremony, the implements are works of art. There is an ash smoother, chopsticks to handle small incense pieces, an answer sheet holder and tweezers. The central piece of equipment is the incense censer which holds hot ashes on top of which you put a tiny fragment of incense. In a game there are five or six scents to choose from. Players kneel in a row or a square and pass the censer around, holding it in the prescribed fashion. You take turns to inhale long and slow and guess which of the scents it is. The referee writes down your guess. Then you go on to the next. The person who gets the most right is the winner. It’s a social activity yet also peaceful and contemplative. Instead of guessing you can just sit back and ‘listen’ to the incense as they say in Japanese or compose a poem or talk about the scent. the blossoms in my garden? 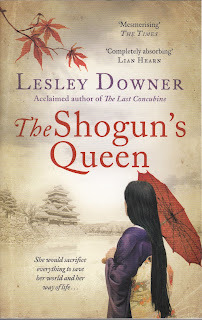 Lesley Downer’s latest novel, The Shogun’s Queen, is an epic and fragrant tale set in nineteenth century Japan and is out now in paperback. For more see www.lesleydowner.com. I'd never heard of this before. Fascinating.